Effective GRC professionals are like "explorers". They have to understand and master their immediate environment while being able to see around the bend and chart a course toward what lies ahead in these uncertain times. 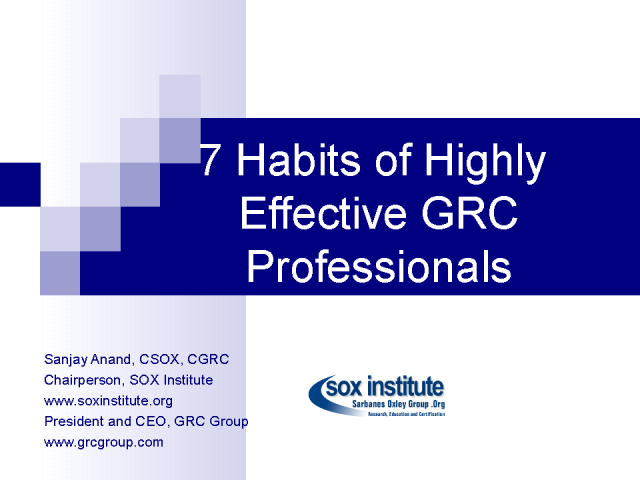 This presentation outlines the seven habits that GRC professionals must develop in order to excel today and to meet tomorrow’s challenges.